With warm weather finally arriving we shed our heavy winter clothes and step outside to explore old haunts and renew our love of nature and the outdoors. One of the signs of Spring each year is the Vernon Greenways Volunteers Kickoff Program, and this year I've been asked to talk about the Tankerhoosen Valley. Although I've lived in the Valley for over fifty years only for the past four have I really explored in depth and dug into its history. What I have found has delighted me and I enjoy sharing the stories. From the talk you might find new places to explore for yourself and your family and, hopefully, have a new appreciation for those who lived here before us. There are many other activities planned; a few are mentioned here and there are some new ways to learn what is coming up. One of my discoveries has been how much we owe the volunteers in town for what we have available to us. Their effort and passion are what makes Vernon a special place to work and live. The Tankerhoosen is proud to sponsor and participate in the new Vernon Volunteers' Collaborative, which is bringing many of the volunteer nonprofit organizations in town together to work on common challenges. We hope we can help these organizations be more effective and can get you more involved in the town. There are a number of news items relating to the Tankerhoosen Valley that aren't included in these newsletters. You are encouraged to join our Facebook Page, MeetUp Group or visit our News Page regularly for more frequent updates. See News Items for links and recent news. As always click on the images for a larger picture. » Go to The Tankerhoosen website. As the 2014 season gets underway there are several events in the next few weeks you should be aware of. More information on these events can be found on our Activities Page. 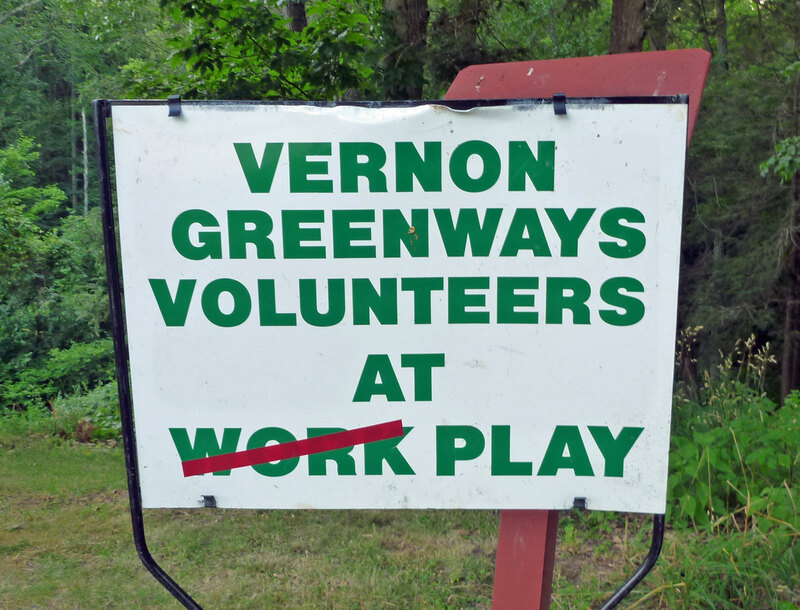 On Wednesday, April 23 at 7 p.m. the Vernon Greenways Volunteers will hold their annual Spring Kickoff Program at the Teen Center, 375 Hartford Turnpike (Route 30) in Vernon. This year the featured speaker will be your website host JON ROE with a presentation on the Tankerhoosen River Valley. manufacturing, murder, lost villages, war heroes, scientific discovery and enterprising pioneers. Deservedly known for its many hiking trails, what is not be appreciated is how connected the green areas are, giving Vernon a unique characteristic not found in any other area town. 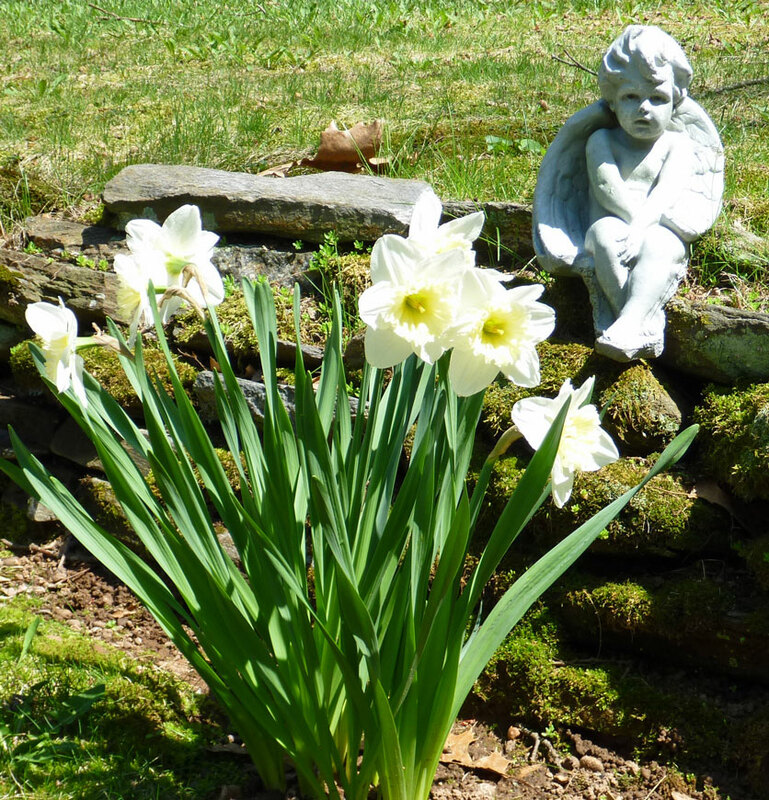 Take a tour down the Tankerhoosen Valley exploring special gardens, landscape features, historical sites, and share the beauty of the area as well as the stories of those who visited or lived in the area. The cost is free and the public is welcome. For information contact DON BELLINGHAM at (860) 872-6061 or vernongreenways@att.net. If you enjoy the outdoors consider becoming a member of the volunteers. Here are a few of the events taking place in the area during the next month. The Activities Page of our website lists details on these and all known upcoming events, while immediate events are listed at the top of our Home Page and are also posted on our Facebook Page. 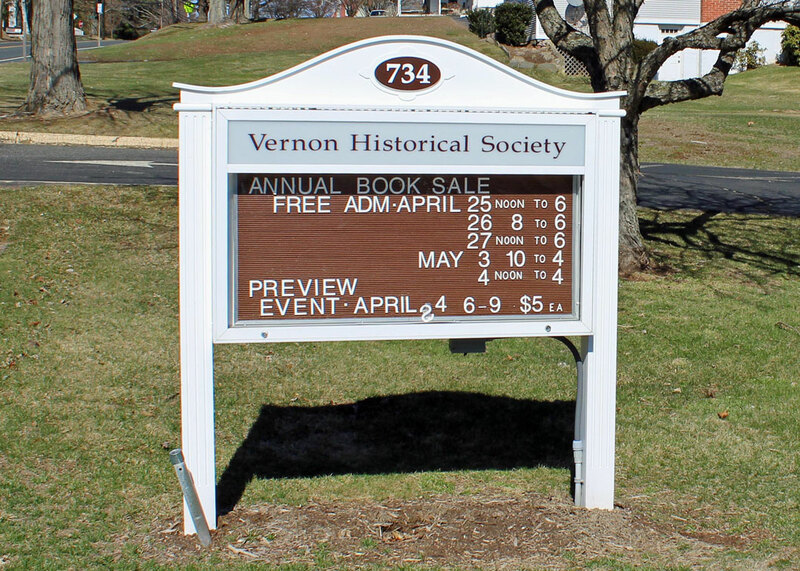 Friday, April 25 through Sunday, May 4: The Vernon Historical Society holds its Annual Book Sale at their museum on Route 30. The sale is a fund raiser and features a wide selection of used hardcover and paperback books, DVDs, VCR tapes and books on tape. See VHS website for days and hours. 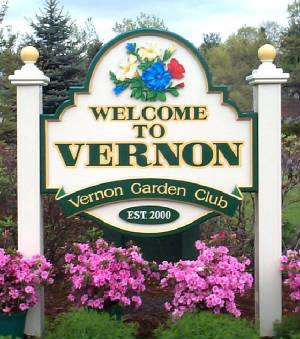 Vernon Garden Club Plant Sale: On Saturday, May 10 from 8-10 a.m. the sale will take place at the Route 30 Sacred Heart Church parking lot. Kayaking/Canoeing On Upper Bolton Lake: A rare opportunity to explore by water a quiet section of the lakes. 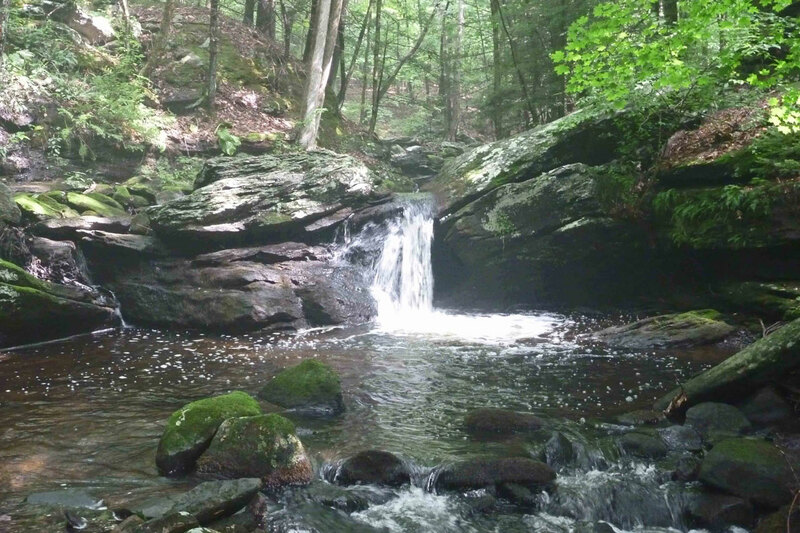 On Saturday, May 10 at 10 a.m. join the Northern CT Land Trust for a leisurely tour of a beautiful, wild, scenic area pond, highlighting a rare grove of Atlantic White Cedar and various birds and wildflowers. Meet at boat launch on Hatch Hill Road off Bolton Road in Vernon. Must bring own boat, paddles, life vests. Contact Karl at (860) 649-4949 for more information. » Go to Activities page. There is a new group in town which we hope will connect you more closely with Vernon. The Vernon Volunteers' Collaborative (V V C) brings together existing independent, non governmental organizations to address common challenges. By sharing resources, experience and ideas we can undertake tasks difficult to do separately. The eleven current organizations, primarily staffed by volunteers, have one or more of the following missions: the preservation or beautification of Vernon's open space, parks and environment; preserving and sharing Vernon's history and historic properties or encouraging appreciation of and participation in the arts. What makes Vernon special and gives us our unique character are our abundant open spaces, well maintained hiking trails, gardens and parks; our heritage, including both our industrial and agricultural past; and developing and showcasing the arts through exhibits, encouraging artists and classes. Our participating volunteer organizations keep this spirit alive. One of our goals is to find ways for more of you to get involved. » Learn more at the V V C website. There are many ways to learn what events are coming up in the area. Besides newspapers and Vernon Patch we use The Tankerhoosen Facebook Page, our website's Activities Page and this newsletter to announce things of interest taking place in the Tankerhoosen Valley. Now, through the Vernon Volunteers' Collaborative, we bring you two more sources. On the website we list Upcoming Events, which will soon become a calendar with more detail. And we have created a MeetUp Page we call 'Making Vernon Special' to send notices and reminders of upcoming events. If you are not familiar with MeetUp.com it's a form of social media that is free to join and emails members when a new event is posted and sends a reminder the day before the event. Instead of hoping you see a notice of what's coming up the information is delivered to you. The Making Vernon Special MeetUp Group lists activities of the Vernon Volunteers' Collaborative organizations, including many that also take place in The Tankerhoosen Valley. Take a look and consider trying it out. » Go to Making Vernon Special MeetUp Group. 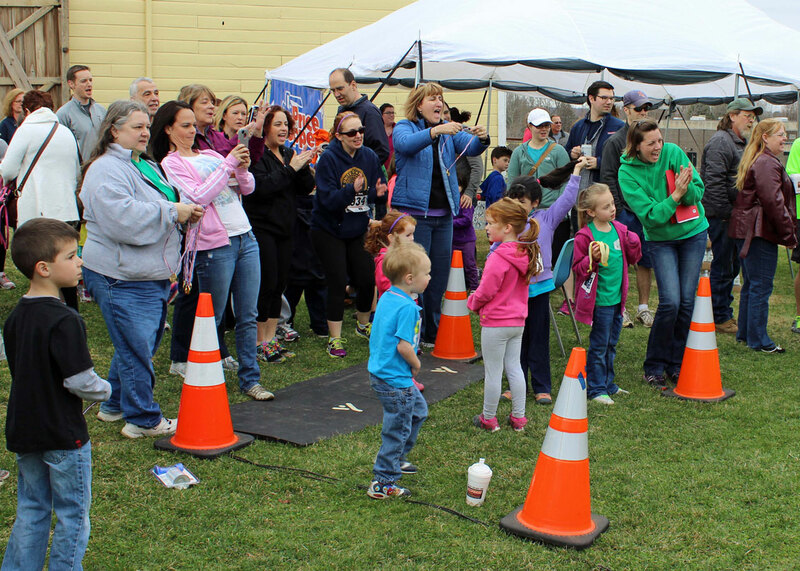 On Sunday, April 13 the Strong Family Farm held its first 5k Chicken Run. It was far more than a race as families were eager to get outside and celebrate Spring. A variety of activities were available to get everyone involved including Zumba, a kids' race, walkers with strollers, and an egg hunt. It was the first town-wide event of the year and many town groups participated including the Police Explorers, the Community Emergency Response Team (CERT) and others. It was colorful, fun and a community event created and run by volunteers. A good example of what makes Vernon a special place to live. The event was covered by a number of photographers plus film crews from the Community Voice Channel. You'll find links below to online galleries to get a feel for what the day was like. » See Andre Garant photos. » See Dan Villeneuve photos. Spring is late again this year and so is the awakening of our gardens. We've talked about these gardens before but as they're the first two to bloom each spring we always look forward to their return and find them inspiring. We hope you will visit each before the blooms fade. 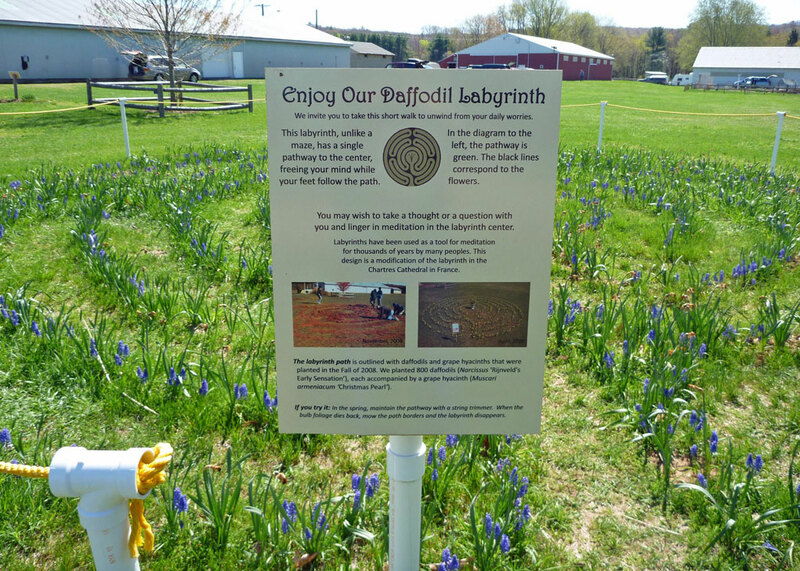 Located at the Tolland County Agricultural Center is the Daffodil Labyrinth, a spring labyrinth made from flowers. When the yellow daffodils of spring appear in late March so does the labyrinth. As the daffodils fade in April violet grape hyacinths appear to hold the pattern into May. As summer arrives the labyrinth is mowed and vanishes until the following spring. The labyrinth is an ancient symbol that relates to wholeness and has been found in all cultures and religions. It combines the imagery of the circle and the spiral into a meandering, but purposeful, path representing a journey to our own center and back again out into the world. Labyrinths have long been used as meditation and prayer tools. » Visit TAC's Daffodil Labyrinth. The Wings Butterfly Garden at 60 Lake Street is another spring garden, primarily azaleas and rhododendrons. It was created for families who have suffered the deaths of their babies or unborn children. It is laid out in the shape of a butterfly and features numerous winged decorations. 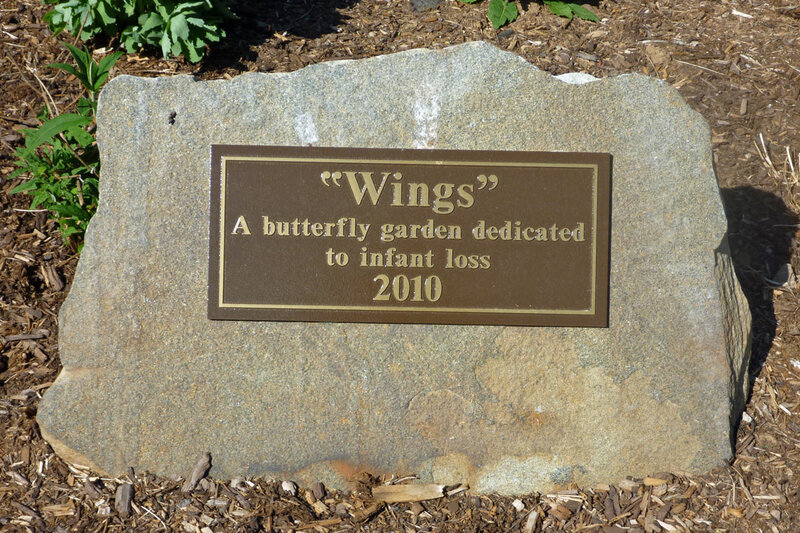 The garden is owned by the Town of Vernon and maintained by Vernon Parks & Rec and Manchester Memorial Hospital bereavement nurse NANCY KRUPIENSKI. With many azaleas and rhododendrons it is particularly lovely in May and is open to everyone to enjoy. Parking is available on the site. » Visit Wings Butterfly Garden. While looking through old issues of The Rockville Leader I found a notice in the December 6, 1918 issue about the Tankeroosan Tribe of the Improved Order of Red Men. Research showed this was one of many fraternal organizations active in Rockville in the early part of the Twentieth Century. Anything relating to the Tankerhoosen River peaks my curiosity, so I researched them and found they had their roots in the Revolutionary War. 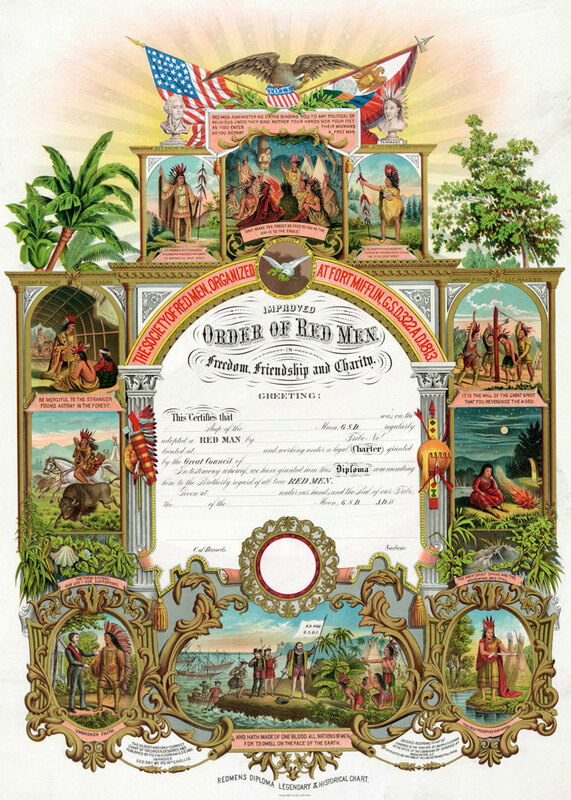 The Improved Order of Red Men traces its origin to secret patriotic societies founded before the American Revolution. They were established to promote Liberty and to defy the tyranny of the English Crown. Among the early groups were The Sons of Liberty, later the Society of Red Men. These were the men who in 1773 disguised themselves as Mohawk Indians and dumped overboard 342 chests of English tea in Boston Harbor. During the Revolutionary War, members of secret societies took up muskets to join the Continental Army. Following the American Revolution many of the various secret societies continued in existence as brotherhoods or fraternities. Over the years some groups came together while others split off and the names changed. In 1834 the Society of Red Men became the Improved Order of Red Men, a working man's drinking group similar to the Odd Fellows fraternal organization. Among its notable members were three presidents - Theodore Roosevelt, Warren G. Harding and Franklin D. Roosevelt. » Learn more about the Red Men. Between issues of this newsletter stay current with news and updates on our News and Facebook Pages. Also as events are scheduled for the coming season we'll add them to our Activities Page as well as post them on Facebook. And to be notified of some of the events taking place in the area join the Vernon Volunteers' Collaborative's MeetUp group. 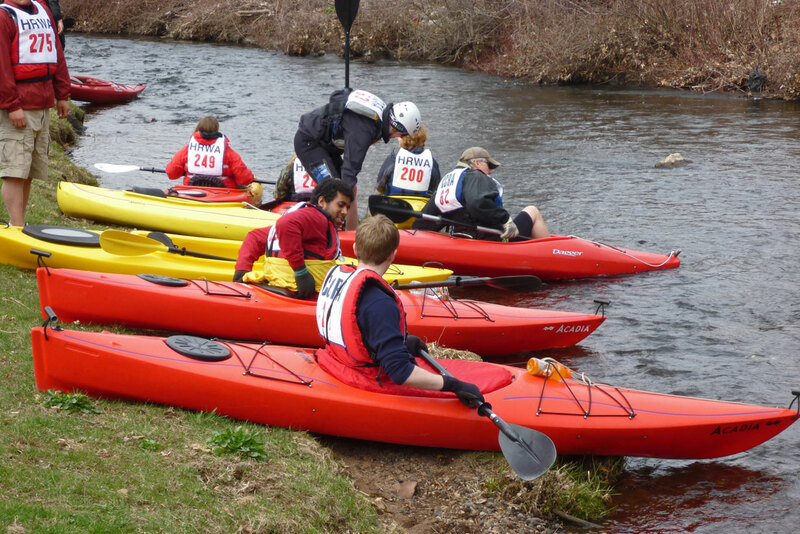 Some stories you may have missed: Golfland Closed & For Sale, Ken Kaplan's video tour of the Hockanum Mills, 2014 Kayak & Canoe Race. » Go to Tankerhoosen Facebook Page. » Go to MeetUp Group.